Product prices and availability are accurate as of 2019-04-19 06:05:03 EDT and are subject to change. Any price and availability information displayed on http://www.amazon.com/ at the time of purchase will apply to the purchase of this product. WebSite X5 Evolution 11 is the ideal software to turn your website dreams into reality. It includes all the features you need to create eye-catching, complete and professional websites. And it’s unbelievably easy! With WebSite X5 Evolution 11 no programming skills are required: all you need is a mouse! You can create and add all the pages you want, add all kinds of content and use all the advanced features you need: you work with an intuitive fully-visual interface, and it just takes a few clicks to create product lists, blogs, contact forms, photo galleries and much more. You concentrate on the results: WebSite X5 Evolution 11 takes care of all the technical aspects, guaranteeing websites that are optimized for search engines, are fully compatible with all the major browsers and can be used with no problem on tablets and smartphones. With a gallery of 1,500 professional templates that are constantly being updated, you’ll be spoilt for choice. There’s a template for every occasion, and they can all be customized thanks to the built-in editor and numerous layout styles. You can change the template at any time or, if you prefer, you can create your own from scratch. In any case, your websites will always have a unique and original look and feel to them. 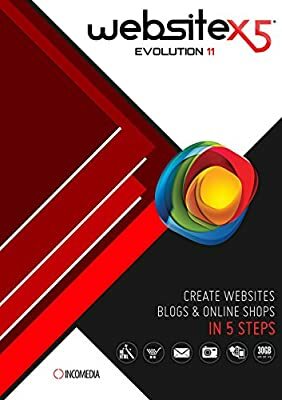 WebSite X5 Evolution 11 is the right software for every project, from a single “hello world” page to a complex portal, from a personal blog to an online shop. Organize your site map and add as many pages as you need, creating levels and sub-levels. 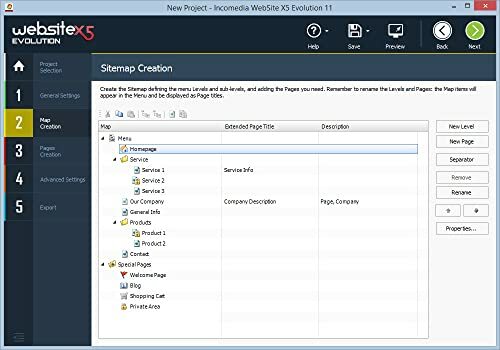 You can update the map when you want: WebSite X5 Evolution 11 dynamically creates both the navigation menu, with active links to all the pages, and the SiteMap, which is used by search engines to index the website’s contents. 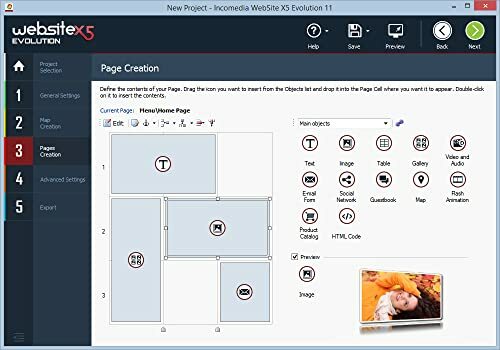 WebSite X5 Evolution 11 makes page creation so easy with its unique editor: just drag & drop the items you need onto the pages. Add text and tables, pictures, galleries, videos, email forms, maps, social network buttons, product catalogs and lots of other apps to manage your contents: watch your page come to life as you work. All the main formats are supported, and you can add online content: the available options can handle any type of object. 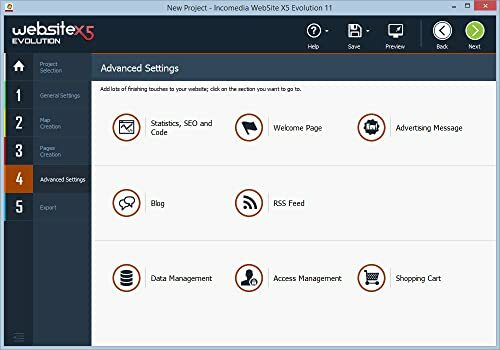 WebSite X5 Evolution 11 is second to none when it comes to the ease with which advanced features can be added to your website. Whether you need blogs or an e-commerce shopping cart (with credit card facilities), a members’area with protected access or a multi-language website, you can obtain them even without any programming skills. Whoever you are, whatever you do, you can create a professional and complete website that is fully open to social networks. Once you have finished creating or updating your website, get it on the Internet immediately with WebSite X5 Evolution 11’s built-in FTP engine. It supports secure connections and saves you time by working in multi-connections and only publishing the parts that have been changed. If you haven’t already got web space, remember that WebSite X5 Evolution 11 includes a new domain registration service and 30 GB of webspace for 12 months. As soon as your website is online, you can notify Google and the network of all your social network contacts so they can visit your new website.